Are you planning a backpacking trip to India? So, start to think about getting you India Visa Application. Remember, there is no Visa on Arrival for most of the countries. Applying for a tourist visa in India is not a straightforward as it can be in many countries, simply because there is no Visa on Arrival, for most of the countries. You can apply online (if you arrive in India through one of the main airports) or through any Indian embassy. The price for the Tourist India visa application is $60, and you can stay there for 6 months. If you plan a visit to other countries like Sri Lanka or Nepal, you could and should ask for a multiple-entry visa upfront, since you cannot change or extend your visa. The India visa application gives you eligibility for 180 days, and that period starts on the first-day issue. So, imagine you are planning 30 days traveling or less, you can take care of it 1 or 2 months before, that it doesn’t expire. 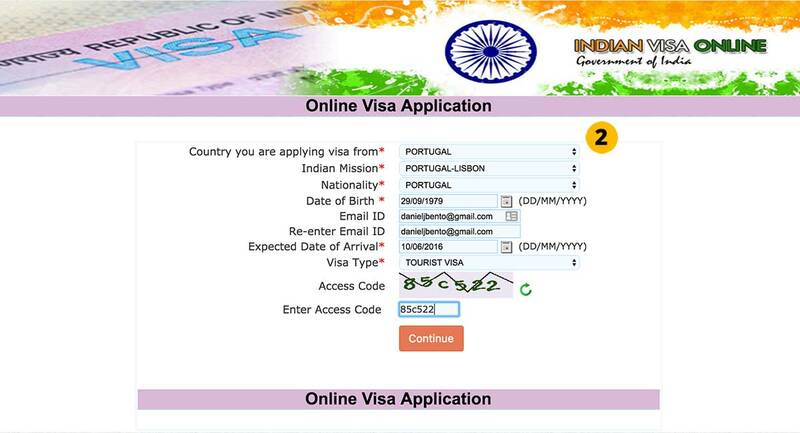 There is a way of applying online for an e-tourist (eTV) visa for India through the website indianvisaonline.gov.in. You can apply on this website, with the minimum of 4 days before getting there, and a maximum of 30 days. When you apply for the eTV, an application ID is created. Keep it if you need to check the status of your request. If you get more than three unsuccessful attempts to pay, your application ID will be blocked and you will need to restart all process from the beginning, generating a new application ID. When you manage to apply and pay the Visa, you must wait around 4 hours, until your payment status updates. The eTV is valid when entering in the main Airports in India, like Delhi, Mumbai or Kolkata. Another way is by going to an Indian Embassy or send all the necessary documentation through postal mail. 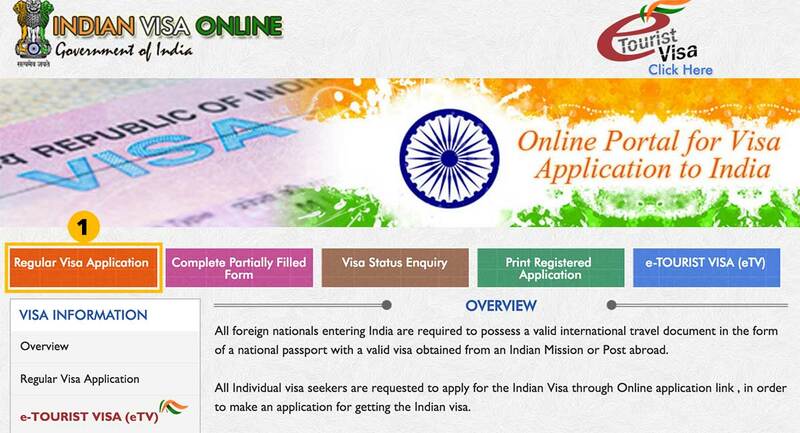 You still have to fill the application online, also in Indian Visa Online. Just click on Regular Visa Application link, and fill the form with your information. Choose de mission of the country where you are applying from, and fill the rest of the form with the necessary information. After submitting the form, print it. Don’t forget that is very important that you send everything in registered mail, instead of standard one. If you go pick up the documentation directly on the embassy, don’t go in the same you submitted the application. Go in the followings days (within 30 days of entering the application online). Visa extension in India is not a very simple process. They only give that in an emergency situation. If you are in a situation that you need an extension, you will have to call the Foreigners’ Regional Registration Office, and explain your situation. If during your journey you have a layover in some Indian airport, you can just stop by and visit the closest city of the Airport. To have that experience, you can apply for a Transit Visa. The same Transit Visa is eligible for 15 days, so, if by any chance, you stop more than one time in an Indian airport, you can get out of the airport and stay for 3 days each time. To apply for a transit visa, it’s similar than the tourist visa. You can do it online or through Indian embassy. This stop over can costs from $13 to $53, depending on your home country. You must also have an evidence, a confirmed air ticket for transit journey through India. You still need all the documents (passport, photos, and the visa application), besides the travel evidence, to have a three days glance of the Indian culture. Depending on the price you have to pay, this can be an interesting opportunity, in case you never step foot in India.